Acne Guide: Learn How To Get Rid Of Your Back Acne Today! As if facial acne wasn’t enough, many people also have to deal with back acne (or bacne as commonly referred to). It’s a fact that treating acne is a challenging task no matter where they appear. So what happens when they appear on your back? Facial acne is a much more common appearance. And although annoying, at least we can cover them up with some good foundation! But what about back acne? Should we put bikinis, tank tops, and backless dresses in the past?! Even though it might seem impossible at first, getting rid of back acne is definitely possible. In order to solve this issue, we first must learn what caused it as well as what treatment options and remedies are available out there. Find out all of this and more below! In this article, I’m going to share with you the types of acne that can appear on your back, some of the most common causes of back acne, a few products that have proven to be useful for curing back acne, as well as some pretty powerful home remedies that will help you get rid of acne fast! If you need an answer to the question ‘How to get rid of back acne,' continue reading below! These are your everyday whiteheads and blackheads which are just clogged pores without any inflammation. The simple difference between them is that blackheads are open pores (and the sebum and skin cells are exposed to oxygen), while whiteheads are closed. Blackheads or whiteheads do not cause any discomfort and can be easily taken care of with the right tools and techniques. Of course, do not try to remove them by yourself on the back but visit a professional so that you do not create a bigger problem. This type of acne is what we commonly refer to when we talk about acne in general. These are inflamed pimples which might or might not contain pus. Pus-filled pimples are called pustules, while the red bumps that are just inflamed but without any pus are the so-called papules. A more serious type of acne which is actually very commonly found on the back, because the skin there is much thicker than the rest of your body. These cysts are what brings the danger of permanent scarring, so they need to be treated as soon as possible. No matter what, never try to get rid of a cyst on your own! This is the biggest mistake you could do. Cysts are very deep and large, which means most of the times they will need to be surgically or dermatological treated. Acne, in general, are caused by a buildup of sebum, bacteria, dirt and dead skin cells in your skin's follicles or pores. When this happens, your pore becomes blocked, and the bacteria that are trapped inside can cause inflammation and swelling. This is what we know as acne! However, even though all acne forms the same way, not all have the same causes. All of these things are clues that can show us the reason why you developed acne. Knowing how to get rid of back acne is impossible without first determining the cause of it. If you feel that you're doing everything right and your hormones are also in order, but you still cannot get rid of back acne, sometimes it's fine to blame genes. Acne predisposition is a real thing so if your parents had or still have acne, the chances are high that you will also struggle with it throughout your life. Although genes and acne are closely connected, you should still try to adopt some healthy habits that will decrease the acne breakouts as much as possible. Androgens, especially the male hormone testosterone, are the main culprit when it comes to hormonal back acne! If you are taking testosterone to treat some existing medical condition, back acne might be a common appearance. Also, women who suffer from PCOS (polycystic ovary syndrome) might suffer from the same bacne breakout problems, since in most of the cases they will have a higher-than-normal testosterone level. This can be taken care of with the help of androgen-blockers or birth control pills. Unfortunately, when the cause is hormonal, there’s not much you can do until your hormones are back under control. Treating your underlying condition will automatically improve your back acne! There’s no science in this – just eat a healthy and balanced diet! Well, actually, science agrees with this. Recent studies have shown that cutting back on dairy, processed foods, sugar and simple carbs can really improve acne conditions. A diet rich in fresh products, fruits, vegetables, lean proteins, nuts, and seeds is good not just for flushing out toxins and clearing out your skin but also for your overall health. This doesn’t mean that you should completely eliminate a certain food group. Instead, eat everything in moderation. If you think that a certain food is triggering or worsening your back acne, try to eliminate foods one by one to find out which of them is your ‘enemy’. Although stress cannot be the direct cause of your back acne, it can definitely complicate or worsen the condition. It is well established that stress negatively affects all body processes and organs, skin being also one of them. Try to avoid and decrease stress as much as possible. I know it’s not as easy as it sounds but you have to give it your best. Do things you enjoy, spend time with loved ones, meditate, do yoga, walk in nature, listen to music, anything that makes you feel calm and relaxed! If you do not have a skin that’s prone to acne, yet you suddenly started noticing acne breakouts on your back, it’s time to check the medicine cabinet! Certain medications such as androgens, antidepressants, or lithium can cause acne to appear in different places on your body, including your back. In this case, you can try talking to your doctor to see if there is a substitute for those medications. If this is not possible and you absolutely must continue taking medicine, you will have to make sure that you keep those acne under control with some effective acne remedies. Did you know that sweating is actually healthy for you? Just as long as you wash it off as soon as possible! When you neglect your shower after being sweaty the whole day or after an exhausting gym session, your back acne situation will definitely worsen! Old sweat, especially under tight and artificial clothing, is one of the biggest reasons for the appearance of acne (of course, unless the underlying cause is a medical condition)! So, if you do not suffer from any of the other acne-causing problems on this list, just a shower a day can be the solution for you. When you are sweaty, it’s important to shower and wash the sweat off as soon as possible, without giving it a chance to mix up with bacteria and dead skin and clog up your pores. All gym goers – listen up carefully!!! Shower immediately after the gym! The gym is said to be one of the most bacteria-ridden places ever. Just imagine that everyone is touching the same machines and same weights as you, and everyone’s sweat is on them (yuck!). No matter if it’s the gym, jogging, or just a long day at work, take a shower daily to get rid of all the dirt and bacteria that accumulated on your body throughout the whole day. However, the key here is not just to stand under the shower but actually wash your back! Yes, I know this sounds ridiculous, but it's pretty common that people forget to wash or exfoliate the back. First of all, it can be kind of difficult to wash.
Second, well, the back doesn't smell right… so why to waste time trying to wash it? You need to wash and treat your back the same way you do your face, especially if acne appears there often. If reaching to wash your back is uncomfortable, buy a gentle exfoliating brush or sponge that will help you get rid of the dead skin on your back, thus preventing clogged pores and acne. Using products that don’t fit your skin type or products that do not fit the yearly season can also be a valid cause for your back acne. The rule is that in the summer we have to use lighter and non-comedogenic products and in the winter we can afford to use heavier and creamy-like moisturizers. In the summer, our body will naturally hydrate itself from the warm climate and our perspiration. So, there's no need of heavy creams or body butter. Don't use any body lotion for a while! I know it sounds weird, but sometimes we just have to give our skin some time to breathe and be clean. And finally, if you were not able to find your back acne cause in the above list, maybe the problem is in your clothing. When you suffer from back acne, one of the most important things that will help you get rid of it faster is letting your skin breathe! Instead of wearing tight-fit dresses and shirts made out of artificial materials, wear natural, cotton clothes and materials that will not irritate your skin. This will prevent those tiny mechanical injuries to the skin as well as sweating and rubbing the inflamed skin. Back acne, as well as all other types of acne for that matter, can be successfully treated with home remedies for acne. You do not need to spend your monthly budget for expensive and luxury products to get the effects you desire! There are many scientifically proven acne home remedies that work just as well (if not better!) as store-bought alternatives. Below, are three of my favorite ones! Surprising to many who are wondering how to get rid of back acne, sea salt is one of the absolute best home remedies for this purpose! 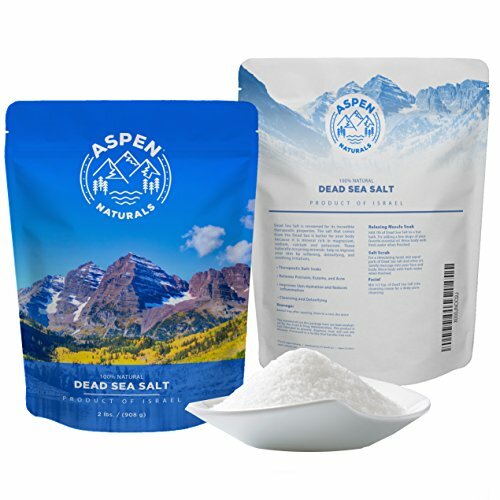 It’s even more surprising the fact that it’s not good to have a diet high in salt but recommended to use sea salt as an external back acne home remedy. When I say sea salt, I really mean sea salt. Do not use normal, table salt for this purpose because the iodine in it might actually worsen your acne condition. Why is sea salt so effective in treating back acne? Scientists suppose that this effect comes from its ability to dry out the skin, thus getting rid of all that stuck sebum and oil in your pores. Another reason might be its power to destroy the bacteria that causes the acne inflammation. No matter the reason, this is by far one of the most effective solutions for my back acne. To use sea salt as a home remedy for back acne, just simply pour 3 or 3 cups of sea salt into your warm bath and soak in it for about half an hour. Then, step out of the bath and pat dry your skin. If your skin is not too dry, it’s best to not apply any moisturizer or lotion on your skin. Just leave your skin dry out and breathe. Feel free to repeat this routine daily. Satisfied users of this method have reported seeing visible improvements in their back acne condition after just one short week! I think it’s definitely worth giving it a try! A word of advice: drink a lot of water in the period when you are doing this home treatment because the salt in the water will dehydrate your body, so you need to replenish and hydrate it. A slightly cheaper but still effective alternative to sea salt is Epsom salt. This salt is actually just a different name for magnesium sulfate – a natural mineral compound. Magnesium has many anti-inflammatory and calming properties which will reduce the inflammation, redness, redness, irritation, etc. At the same time, the magnesium can effectively flush out toxins from your body, which will not only improve your back acne condition but also give benefits to your overall health! So, if you are always wondering how to get rid of back acne as fast as possible, Epsom salt might be the best solution for you! Using this effective cure is incredibly easy. Just add 1 or 2 cups of Epsom salt in your regular, warm bath. However, make sure to not use any additional products in the bath such as shower gels, bath bombs or anything similar. Just warm water and Epsom salt. Same as with sea salt, Epsom salt can dehydrate your body so always ensure that you consume enough liquids and electrolytes after the Epsom salt bath. To make this home remedy even more effective, use a gentle glove or exfoliating sponge to remove all the dead skin cells. Exfoliation while your skin is wet and your pores are open is one of the most effective ways to remove old skin layers! And finally, my third favorite back acne home remedy is tea tree oil. Known for ages for its anti-inflammatory, antimicrobial and anti-bacterial properties, tea tree oil is an effective cure not just for acne but also for bigger problems such as acne scars and marks. The outstanding bacteria-killing powers of tea tree oil is what makes it such an effective cure for all types of acne, including back acne. This feature of tea tree oil comes from its compound Terpinen-4-ol and its anti-microbial strengths. Remember that pure tea tree oil should never be applied directly on the skin. This is a medicinal and very concentrated and strong oil which will probably cause severe skin irritation and even burns and blisters. Always use tea tree oil diluted! For mixing with water, the best ratio is 5:95 which, for example, means 5mL of tea tree oil mixed with 95mL of purified water. If you use this oil only as a spot treatment, maybe you can afford using more oil but always make sure to test it first! For spot treatments, use the diluted tea tree oil with a Q-tip and apply only directly on the acne itself. If you have a larger area covered with acne (such as your back), use it in the recommended ratio so that you can apply it all over the area without damaging or burning your skin. Aside from water, tea tree oil can also be mixed with other neutral and mild oils such as coconut or olive oil. Just one or two drops will be enough in this case. You can even put two or three drops of tea tree oil into your body moisturizer if you wish to have a better effect. Each time you apply this moisturizer on your back, the tea tree oil in it will help existing acne from worsening as well as prevent new back acne breakouts. Be careful! If your back acne condition is extremely severe or you have large cysts on your back, probably home remedies or conventional over-the-counter products will not be enough for you! In this case, always visit a dermatologist before taking any drastic steps you might regret later on! In severe cases, cysts might require surgical procedures while severe acne might need to be treated with antibiotics to kill the bacteria or other prescription medication. Making a positive impact on your health, beauty, and self-confidence is what I have tried to achieve with this article, in the hope that my tips will help yet another back acne sufferer the same way they helped me! Hopefully, I’ve managed to give a clear answer to all your questions! Back acne is a very common problem that many people face, regardless of their age or gender. As I have previously mentioned, the first step in your journey towards a clear and smooth back is to find out what the underlying cause of your acne is. When you figure this out, half of the job is already done, and it will be much easier to figure out what to do. If these back acne home remedies aren’t enough for you and you’d rather go a different direction and try a product that’s available on the market, I would recommend the Body Acne Kit By Exposed Skincare which contains a 12oz body wash as well as two acne treatment serums. This is my favorite product to use when I notice back acne breakouts because it perfectly combines science and nature. Merged together, the power of Benzoyl Peroxide, Green Tea Extract, and Tea Tree Oil make this kit an incredibly powerful solution for fighting back acne. Plus, what I absolutely love about this body acne kit is that you can use it from head to toes! It's suitable for your back as well as your face! How to get rid of back acne is a very common question among people of all sizes, shapes, and generations. Hopefully, by sharing our experiences, we can contribute and help mutually so that we all go outside in the sun with just a little bit more confidence and self-love! Finally, remember that acne does not determine who you are or how beautiful you are. Everyone is different and beautiful in their own way, and only by embracing these differences will we start feeling good in our own skin! Now that you know how to get rid of back acne, let me know in comments when you try one of my favorite home remedies. Even better, share your experience to show people that they’re not the only ones facing this issue! If you have something else that did wonders for you, please share it with us!